This is the most gripping and engrossing time travel novel I have read. 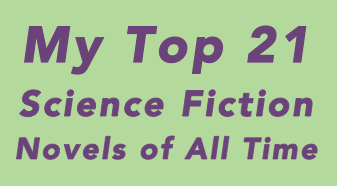 I enjoy time travel stories, and of course they’ve long been a science fiction tradition (see number 2 on this list). Actually, I believe that humans are constantly time traveling in our minds – some of us spend more time thinking about the past or the future than actually paying attention to the present. Reading fiction is already a kind of imaginary time travel – historical novels take us to an imaginary past, science fiction to an imaginary future, past – or even alternate timelines. For all that, it’s a pretty small subgenre of science fiction – I don’t know that many good time travel novels actually. Heinlein is famous for the “grandfather paradox” set up in his classic time travel short story ” ‘ – All You Zombies – ‘ ” but few novelists have put the effort into working out convincing novel-length stories that address the many conundrums the time travel premise presents. 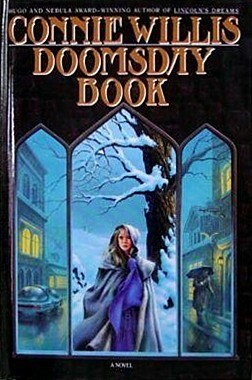 Like Doomsday Book, Timeline (1999) by Michael Crichton (1942-2008) is also a time travel novel that takes its near-contemporary characters to the 14th century (France instead of England in this case), and then spends most of the book with them struggling to return to the present, but the resemblance ends there. Like most of Crichton’s books (which are often entertaining) Timeline is a page-turner action thriller based on speculation around a particular technological idea, in this case quantum theory. To Say Nothing of the Dog is a comic novel that takes the Oxford time travelers to Victorian times, and Blackout and All Clear are two volumes of a massive and intricate novel that takes them to World War II. All of these books are enthralling stories with multiple themes woven from the warp of science fiction and the weft of historical fiction.